More than four months since LMAX Exchange was crowned the overall winner of the Clipper 2015-16 Race, the team continues to celebrate its success and hard work with skipper, Olivier Cardin, recently receiving an award at the French Sailing Federation’s flagship award ceremony, the Soiree des Champions. Such recognition and awards are not limited to the skippers however, with crew member, Dominique Hausser receiving an award at the Swiss Sailing Awards on 19 November 2016. 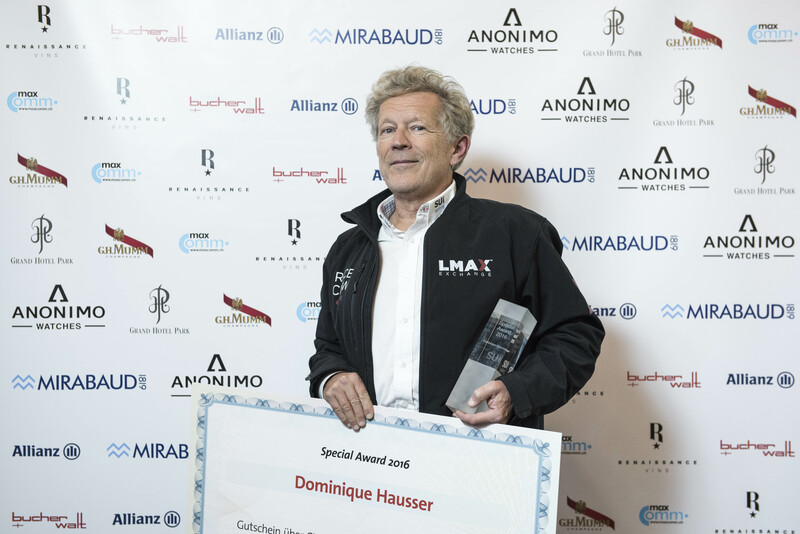 Presented with the Special Award, Dominique has been recognised for his commitment to sailing, with his most recent achievement involving a circumnavigation on board the LMAX Exchange entry for the 2015-16 race edition. Sailing around the world has always been a dream of Dominique’s and, acting as navigator, team doctor and coxswain on board during the Clipper Race, he played a vital role in the team throughout the epic 40,000 nautical mile journey. The award also highlights Dominique’s work in the sailing world across club, regional and national level, alongside his commitment to developing sailing in Switzerland, with the sailor set to start work as head of the regatta department for the Swiss Sailing Central Committee in 2017. To find out more about Dominique’s Clipper Race adventure, you can read his blog here. If you would like to make your dreams a reality and race the world’s ocean in 2017-18, please get in touch via the apply section of the website.